If your place of work has three or more employees, then your employer is required to maintain workers' compensation insurance in Virginia. This insurance covers injuries sustained in the workplace or off-site if the worker is injured during the performance of his or her job (such as with a courier or delivery person who is injured in a traffic accident). Injuries and disabilities are classified by their extent, and under Virginia law, the injury is either a temporary partial, temporary total, permanent partial or permanent total injury. The payments an injured worker receives are dependent upon what part of the body is injured. Once a workers' comp claim is made and payment is approved by the employer’s insurance company (or the employer itself, if the employer is self-insured), the injured worker receives a weekly sum for a fixed period of time, ranging from a few weeks to as much as a lifetime. Injuries that occur on the job usually depend on the line of work you are engaged in. 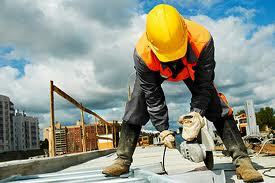 Construction workers, for instance, are vulnerable to many more types of injuries than office workers. Typically, workers' compensation cases involve injuries to the limbs (arms or legs), loss of eyesight and loss of hearing. Injuries that result in burns and other physical scarring are also covered, as are catastrophic injuries to the brain or spinal cord, and survivor benefits in cases of fatalities. However, injuries that occur over an extended period of time through repetition or diseases that affect the back, neck or spinal column are not covered by workers' comp in Virginia. These types of gradual injuries and illnesses are covered under a federal law known as the Employee Retirement Income Security Act (ERISA). Theoretically, Virginia workers' comp is a no-fault form of insurance. For example, if you accidentally knocked over a 300 lb. container and it crushed your foot, you would still receive workers compensation, even though it could be argued that you caused the accident that caused your injury. But like the majority of insurance programs, payouts for workers' compensation have been on a steady decline since the 1980s. Workers who once enjoyed a “no questions asked” process when seeking compensation for their workplace injuries now face a formidable wall of scrutiny and a much higher denial rate of claims. Insurance companies argue that this is because safer working conditions have been put in place, and as a result, serious injuries are simply less frequent now. As a law firm that is active in strengthening safer working conditions for employees, the attorneys of Dulaney Lauer & Thomas know that in many areas of labor, conditions are getting much worse. In particular, in the area of construction, where hiring practices are often looser and fall well short of the requirements of Virginia employment law. Construction workers are left with minimal settlements for injuries that will affect their ability to earn for the rest of their lives. Virginia law says that injured workers that appear before a hearing are not required to have an attorney to assist them. But by no means should you follow such advice. If your case becomes complex or your claim is denied or minimized by your employer, you’ll need an attorney. Your employer will have one, and that attorney’s job will be to save your employer money, solely at your expense. This is why it is important to consult an attorney as early in the claims process as possible. An experienced attorney can help anticipate problems with your claim, and help you rectify any issues that may prevent you from receiving adequate compensation. The attorneys of Dulaney Lauer & Thomas have experience preparing workers compensation claims for review by the Virginia Workers Compensation Commission. We have argued on behalf of hundreds of injured workers in our effort to maximize the benefits they receive. We help our clients prepare the necessary medical documentation to support their injury claims, help establish fair disability ratings and causation opinions, and assist our clients through the claims and appeals processes. Through each step of your workers' compensation case, we fight to ensure the best possible outcome for your case. Workers injured on the job aren’t always solely dependent upon their employers and the workers' compensation insurance program to obtain the necessary income they need while they recover. Often, injuries in the workplace are caused by defective products or conditions that were caused by a negligent third party. In such cases, injured workers can pursue a lawsuit against the third party, and the decision to sue another party has no effect on their rights to workers' compensation benefits. Our firm has helped many workers identify and successfully pursue lawsuits against third parties that contributed to their injuries. If you live and work in Virginia and you’ve been injured on the job, you owe it to yourself to explore every legal option your case affords. The first crucial step in this process is talking to an experienced attorney. Our Virginia personal injury law firm is here to assist you with your workers' compensation claim today. I cannot say enough about this firm, especially, Carl Lauer. I came in to speak with Mr. Lauer in July of 2014. Although Mr. Lauer's firm does not represent cases like mine, that day he did something that can only be described as amazing! He took a generous amount of time to sit down and speak with me. He was very kind personable and genuine. The valuable information and knowledge he gave helped me to appeal my case and eventually be victorious! If I'm ever in the need of counsel, Dulaney, Lauer & Thomas will be my choice of representation. I know they truly do care about people! Posted on 04/12/2013Should COPD Be a Concern for Construction Workers in Virginia?